These traditional Sardinian sweets are handcrafted with patience and care. I wish I could say that I made these sweets but alas I didn’t. I did however eat my fair share; all of them mine. This is my response to this week’s Weekly Photo Challenge: Mine. These are just amazing and look so yummy! 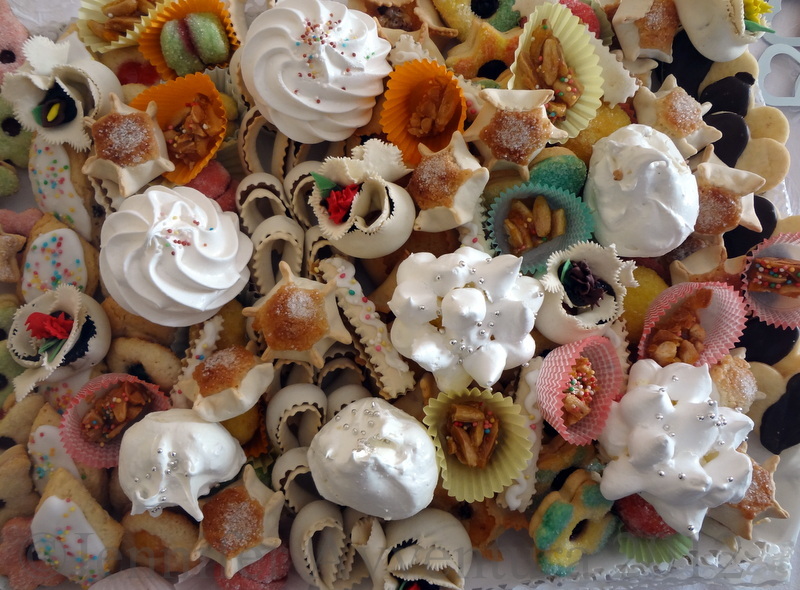 When we were in Sardegna, my cousins out did themselves with their fabulous sweet treats! A place to visit and enjoy for all! Great job! Have a great day! So much better than a ‘Mine’ photo of a lump of coal, Jennifer. Wow – so pretty – and yummy looking! No doubt those sweets were offered to you at the wedding banquet and I’m sure they were scruptious ..but I can’t imagine downing them with caffelatte at breakfast as someone suggested. 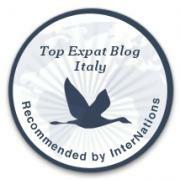 Sardinia has a renowned collection of liquorous wines for that purpose. Just one thing I’d like to point out though, the tradional (homemade) cakes arn’t as bad for your calorie count as would appear. In the past sugar was an unnecessary luxury in the traditionally poor rural Sardinia economy and in the best recepies it’s often replaced with honey, boiled down red wine most (sapa), raisins hazel and walnuts and the almond cakes are almond cakes and not diced with tons of refined sugar. No doubt those sweets were offered to you at the wedding banquet and I’m sure they were scrumptious ..but I can’t imagine downing them with caffelatte at breakfast as someone suggested. Sardinia has a renowned collection of liquorous wines for that purpose. Just one thing I’d like to point out though, the tradional (homemade) cakes arn’t as bad for your calorie count as would appear. In the past sugar was an unnecessary luxury in the traditionally poor rural Sardinia economy and the best recepies it’s often replaced with honey, bolied down red wine most (sapa), raisins hazel and walnuts and the almond cakes are ALMOND cakes and not diced with tons of refined sugar. oh, and at breakfast for me … no way. Too sweet. Nice after dinner treats. Papassini,Tiliccas,Pardulas,Sospiri,a few Bianchini and….oh yes some Sospiri and Amaretti which are missing cause you`ve already eaten them!!!! !Caught in the act!!!! Did you eat the Torrone too?!….Jennifer!!!!!! There was no Torrone at the wedding, but I love Torrone! yum! My favs are the tiliccas, with the arantzadas coming in second, and the pappassinas a good third — although they rank 1st for breakfast, dunked in hot milk. My favs are the tiliccas, with the arantzada coming in second, and the papassinas a good third, although they rank 1st for breakfast, dunked in hot milk. Thanks for the actual names, I just know them as good! At least with the meringues I’d know what to expect. The others are terra – er, sugar – incognito! they look delicious? How long after you snapped the photo did you eat them all? I imagine they are flavored with anise and orange? they look very tempting! the Portuguese also make some fab sweets and cakes too – hard to resist! Sure can, which one tickles your fancy? Wow, what an incredible selection…I wouldn’t know where to start…beautiful. I started with one of everything! Thank you! They were all wonderful! Great job! Have to say that these are on my nono list, too many kilos! They sure look pretty though. LOL! They are all wonderful!